Cherry peppers are a very beautiful pod type pepper resembling the shape of a round fleshy cherry and measuring about 1 3/4 inch in diameter. The hotness ranges from moderately mild to medium hot. 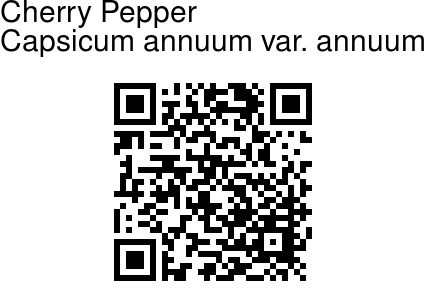 One may find the cherry pepper labelled as the Hungarian cherry pepper, since they are popular in Hungarian dishes. Cherry peppers are an ideal size for pickling or brining, and they also make for an excellent garnish on a dish. They shouldn’t be thought of as merely good for pickling or for decoration, since they are quite tasty. Flowers are quite similar to those of other chillies. 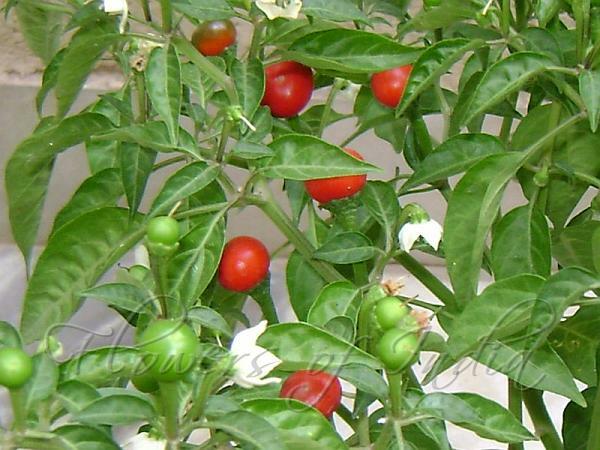 This chilli is only known in cultivation.